Eight persons A, B, C, D, E, F, G and H are sitting around a square table, four persons sit on four sides of the table and other four sit on the corners of the table, but not necessarily in the same order. Some of them are facing the centre and some of them are facing away from the centre. Out of them, six are Batsman and one is Caption and one is Coach. Those six Batsman went to Bangalore for Training on different days in a week starting from Monday to Saturday. The Caption and Coach didn’t go to Bangalore. The following information is known about them. a) H who sits on one of the corners and went on Thursday is facing away from centre. b) A who is a Caption and C are sitting diagonally opposite to each other. c) B is sitting third to the left of E and E is facing centre. 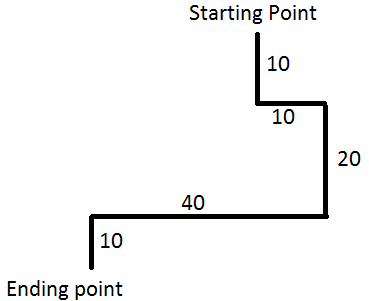 d) H sits to the immediate left of the one who went on Monday who sits to the opposite to the one who went on Wednesday and they’re facing towards each other. e) D is opposite to F but they face in opposite directions and D's neighbours face in opposite directions to each other. f) The Caption, not facing centre, is not sitting with the one who went on Wednesday but sitting with the Coach who is facing in direction that is opposite to that of A. 1. Which of the following is sitting third to left of B? 2. Who is going on Wednesday? 3. Which of the following combination is False? 4. How many player facing inside? 5. Who going on Tuesday? Directions (6 – 10): Read the given information and answer below question. A country has following type of traffic signals. 1 green lights = go at 20 kmph speed. A motorist start at a point on road and follows all traffic signals literally. His car is heading toward north. He encounters the following signals (the time mentioned in each case below is applicable after crossing the previous signal). 6. If at starting point, the car was heading toward south, what would be final position of the motorist? a) 30 km to the east and 40 km to the south. b) 50 km to the east and 40 km to the south. c) 30 km to the west and 40 km to the south. d) 50 km to the east and 20 km to the north. 7. After starting point if the 1st signal were 1 red and 2 green lights, what would be the final position of motorist? 8. What is position (radial distance) of the motorist when he reaches the last signal? a) 45 km directly north of starting point. b) 30 km directly to the east of starting point. c) 50 km away to the northeast of starting point. d) 45 km away to the northwest of starting point. 9. The total distance travelled by the motorist from the 2nd signal till the 2nd last signal is? 10. The total distance travelled by the motorist from the starting point till the last signal is? Twelve professionals A, B, C, D, E, F, G, H, I, J, K and L work in the same company. They all work in five months (March, May, June, September, October and December). They work in each month on 8th and 15th date. Only two days held in a month in which they work. The professionals got different salaries according to their work type. If the month contains odd number of days then salary will be in odd number and if the month contains even number of days then salary will be in even number. A works on 8th September. H works before A. H got 55k salary and he works on 15th of a month. 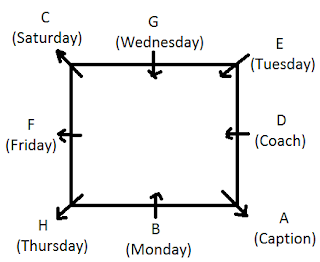 There is a gap of one working day between H’s and J’s working days. J’s salary is 6k less than H’s salary. There are gap of 3 working days between D and the one who got 26k salary. D works before the person who got 26k salary. D does not work in March. There are gap of 2 working days between K and the one who got 26k salary. K’s salary is greater than J’s salary but less than H’s salary. K’s salary is in a multiple of 3. E and G work in same month but not in June. There is one working day gap between E and L. There is a gap of 2 working days between F and the one who got 16k salary. F works before the one who got 16 k salary. The total salary of L and H is 2k more than twice the total salary of A and B. C and the one who got 18k work in same month. The total salary of E and G was 20k. The salary of E is greater than the salary of F and also greater than the salary of G. The salary of K is greater than the salary of B by 24k. The one who works in May has more salary than B but less than 30k. 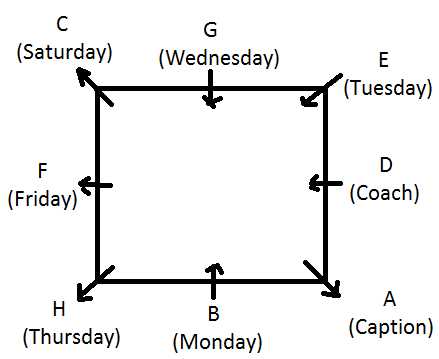 There are gap of more than 3 working days between I and J. C got 22 k salaries. 11. Who among the following professional works on 15th September? 12. Which among the following is the salary who works on 8th May? 13. How many professional works between G and H? 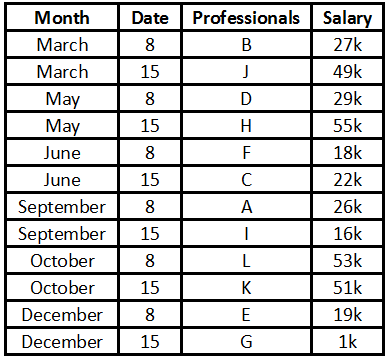 14. Who among the following professional got 53k salary? 15. Four of the following five are alike in a certain way and hence they form a group. Which one of the following does not belong to that group?